As parents, we all dread the day when our baby develops their first diaper rash. Typically, this will usually be the start of many. No matter what we do or the measures we put in place, diaper rashes are inevitable. It can be caused by several things, from chaffing and sensitive skin to the diapers themselves. So, when this time comes around, it’s time to pull out all the stops and invest in some leading diaper rash cream. 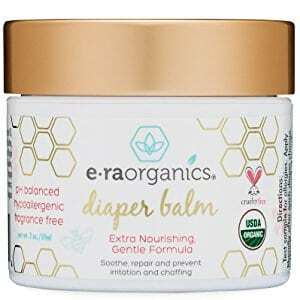 To give you a solid foundation of knowledge, here is a list of some of my favorite diaper rash creams which include some of the leading brands and companies on the market. From here, you’ll be able to choose your preferred cream, ensuring you have a happy, healthy, rash-free baby as soon as possible. 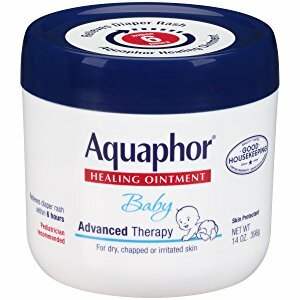 What Active Ingredients Do I Need from My Diaper Rash Cream? Which Cream Shall I Choose If My Baby Has Sensitive Skin? Does It Matter What Diapers I’m Using? To start my list, I was instantly drawn to this ointment as it is one of the most popular and bestselling diaper creams on the market. 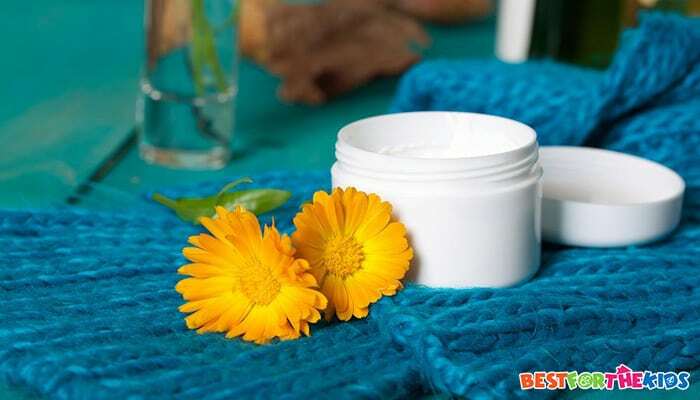 This leading cream is highly recommended by pediatricians. Despite its humorous name, this maximum strength paste proactively heals and protects your child from diaper rash. It works by actively moisturizing your child’s skin, minimizing the risk and chance of chaffing skin while actively sealing out any wetness that occurs. This is all thanks to the expertly crafted formula that contains 40% zinc oxide. This essential ingredient that is FDA-approved to fight the symptoms and effects of diaper rash. What's Great About It: Thanks to the excellently produced formula, you’ll be able to feel safe in the knowledge that the ingredients don’t include any dyes, parabens, phthalates or talc, putting your little one’s well-being first. This also ensures you can safely use this paste on a daily basis. When it comes to our little bundles of joy, we only want to give them the best we can. That’s why my next favorite is one of the purest diaper rash creams you can find. As the name suggests, this cream is completely organic, certified by the USDA, and is made from some of nature’s finest ingredients including sunflower oil, cocoa butter, beeswax, and coconut oil. This means there are no hidden chemicals or toxins to be found in this cream, making it ideal for all babies, especially those with sensitive skin and allergies. This cream also boasts potent hypoallergenic properties, all while protecting your baby from excess moisture, inflammation, infections and chaffing. This cream has everything you need to protect your baby's skin. What's Great About It: In addition to being 100% natural and organic, you’ll be able to benefit from the added antibacterial and antifungal benefits, allowing you to be safe in the knowledge that your baby is happy and healthy. 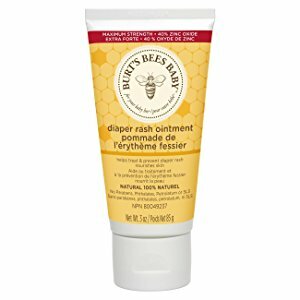 Burt’s Bees has always been a leading product in the industry when it comes to skincare, and this outstanding natural diaper rash cream is no exception. Inside this small, compact but high-performance tube, you’ll find only 100% natural ingredients, specially designed to put the health and well-being of your child first. Inside the bottle, you’ll be able to enjoy the all-natural benefits of a 40% zinc oxide recipe, the leading standard when it comes to proactively soothing and protecting your baby against diaper rash. Not only will this cream actively recondition your child’s skin, but it will help to nourish their skin, thanks to the expertly crafted formula that includes shea butter, jojoba seed oil, and lavender oil. What's Great About It: To ensure quality, this diaper rash cream has been professionally tested by pediatricians, proving it to be completely safe for your baby’s bottom, helping to ensure that your baby’s skin is smooth, dry and soft, without any irritation or pain. 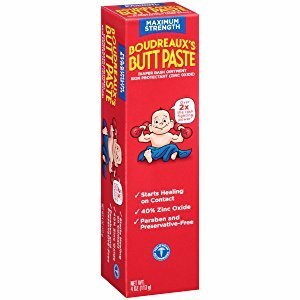 Finally, to conclude my list of favorites, I’ve chosen this outstanding baby diaper rash ointment that pulls out all the stops. Not only has this diaper cream been tested and clinically trialed to prove its effectiveness, but it’s also highly recommended by leading pediatricians across the United States, leaving you completely safe in the knowledge that you’re buying the best. This unique formula has been crafted using 41% petrolatum substances, ensuring that your baby’s skin is proactively healed with every use while still ensuring that oxygen and air can still safely and easily reach your child’s skin. What's Great About It: Thanks to this unique and professionally blended formula, your baby will be protected from dry, irritated and chapped skin, making it the solution you need for your baby’s skin, and it's all located in one convenient tub. It’s all well and good knowing what some of the best creams on the market are, but you’ve still got to make that all-important decision on which one is best for you and your family. Scroll down to discover my comprehensive buying guide, teaching you everything you need to know. Obviously, the most important part of the diaper rash cream is finding one with the right ingredients that will work for you. Fortunately, all the information you’ll need is right here. The most common, industry-standard ingredient is zinc oxide. When it comes to creams, this will normally come in different concentrations, allowing you to choose which strength is best for you. The concentration will vary from 10% to 40%, with 40% being the strongest and the most effective. The zinc oxide works by smoothing out your baby’s skin, creating a breathable barrier that blocks out external and excessive moisture. Alternatively, you could opt for the all-natural ingredient of Calendula. This is a natural oil that originates from marigold flowers and is known for its antibacterial properties. More in Diapers: What are the Best Pull-up Diapers? Most definitely. Adult skin creams, similar to diaper creams, may be tempting to you, but they may contain chemicals and ingredients such as baking soda, camphor or boric acid. As the names of these substances indicate, they can be extremely rough or active when applied to your child’s skin and, in some cases, may even cause damage to their soft skin. Sensitive skin in babies is very common, so there is a range of products that are suitable for you. When choosing your preferred diaper rash cream, look for products that market themselves as having hypoallergenic properties. If you’re using cloth diapers, you may want to look into a diaper rash cream that contain Lanolin. This is an all-natural ingredient that’s extremely effective in treating rashes caused by this kind of diaper. If you find your baby is suffering from a fungal infection, such as Candida fungus, antifungal diaper rash creams are highly recommended. If your baby is prone to diaper rashes, there are several things you can do to treat the rash, in addition to using specialized cream. Firstly, you’ll want to be sure that you’re changing your baby’s diaper more frequently. This will help you to minimize the amount of moisture around your baby’s bottom, therefore reducing the risk of rash. If the diaper rash is especially bad, you may want to consult your doctor or pediatrician, or look into changing the brand of diaper you are using because it may be the material of these diapers that are causing an allergic reaction. Diaper rash can be extremely stressful and painful for your little one. Fortunately, as you can see, there is a range of products and techniques out there that can help you to proactively treat the problem, ensuring that your baby can be happy and stress-free, enabling you to enjoy more intimate moments together. Take your time and choose the diaper rash cream that’s right for you.